Enjoy weekends away with a lightweight wheelchair that folds easily into a carry bag. The pink wheelchair in a bag is a travel wheelchair perfectly suited to those who need a portable wheelchair for shopping trips or days out. 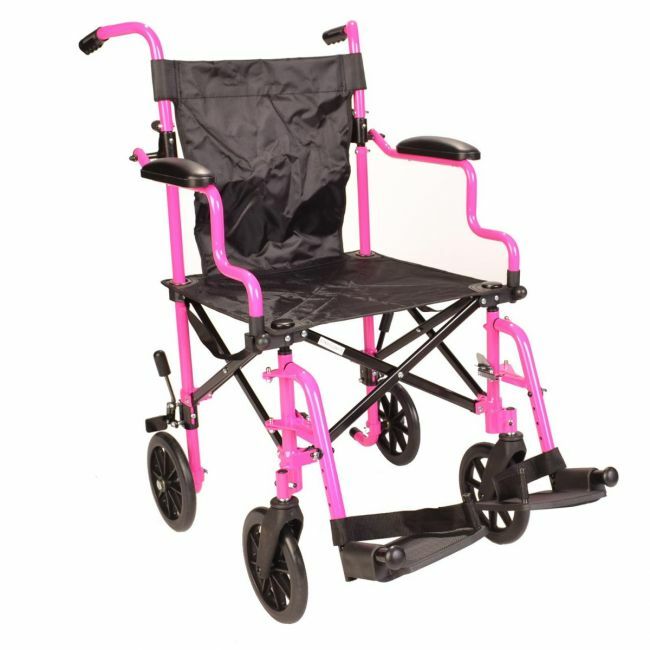 This lightweight model is ready to use in seconds and is available in striking metallic pink.